One of the most widely anticipated green trucks ever produced was officially announced at the beginning of December 2016. 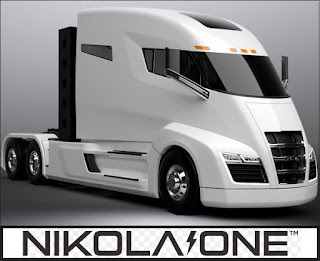 The Nikola One hydrogen range-extended electric truck is a class 8 commercial semi truck. It is the brainchild of the Salt Lake City-based Nikola Motor Company. The power and the extraordinary range of this new truck concept make this one of most advanced semi's in the world. As reviewed in Green Car Reports, the Nikola One was originally a natural-gas turbine powered vehicle, however in the US and Canada the truck will be powered by hydrogen fuel cells. The Nikola One has twice the power of current trucks on the road. It has more than 1000 horsepower and 2,000 pound-feet of torque. It is powered by has six electric motors and a two-speed transmission. What is truly remarkable about the Nikola One compared to non-hydrogen electric trucks is its range. With the methane range extender the Nikola truck can travel up to 1,200 miles between hydrogen fill-ups. Nikola plans to build a network of hydrogen filling stations along major highways. The hydrogen will be produced using solar power. The truck's 320-kilowatt-hour lithium-ion battery pack can also be recharged by plugging in. The truck is expected to have a base price of $375,000 including a refundable $1,500 deposit for early orders. It will also be available to operators under a 72-month leasing program that includes unlimited hydrogen and scheduled maintenance. The Nikola One is expected to go into production in 2020 and the network of refueling stations will be built starting in 2018. Earlier this year Nikola Motor claims it received over 7,000 pre-orders worth over $2.3 billion for its electric truck. Compared to diesel powered trucks the Nikola One is much cleaner and fuel costs are cut in half. According to Nikola Motor the technology that goes into its truck is 10-15 years ahead of any other OEM in fuel efficiencies, MPG and emissions. According to Nikola Motor's CEO Trevor Milton the Nikola One is the only near zero emission truck that outperforms comparable diesel trucks on the road today. These features make the Nikola One among the most advanced electric trucks in the world. 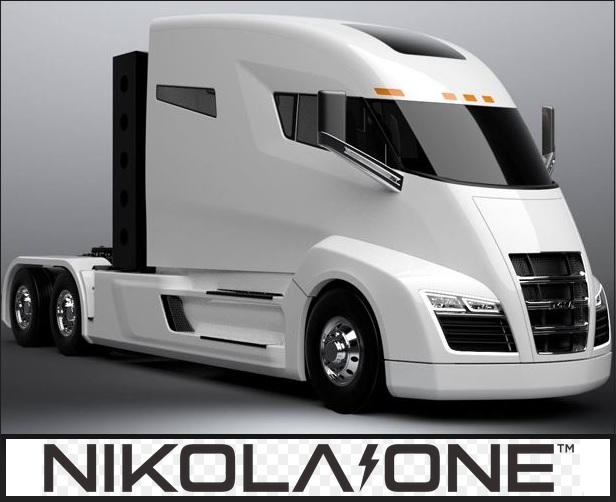 All indications are that the Nikola One will revolutionize the trucking industry. Take a look at this bad boy and decide for yourself.